The nightingale of the North has flown. 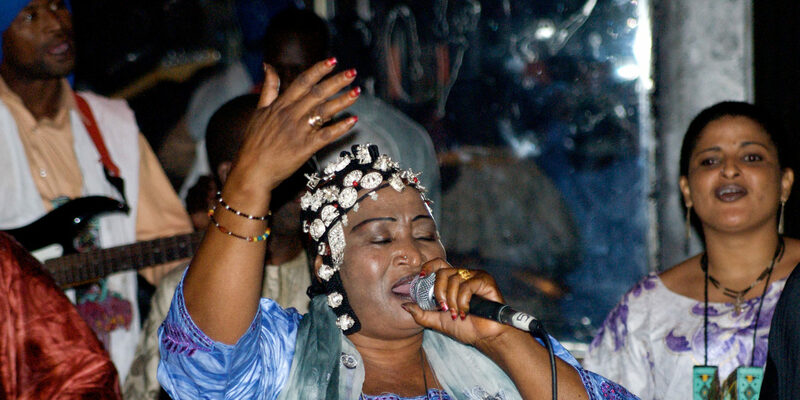 Just 59 and one of the most moving singers of the Sahara, Khaira Arby passed away in a hospital in Bamako, Mali, on Aug. 18. A native of Timbuktu, Khaira was among the most consequential artists of northern Mali, second only to her dear friend, the iconic Ali Farka Toure. Khaira’s songs of longing, hope and peace are woven into the lives and souls of Malians, especially those from the north. Once she began touring internationally in 2010, Khaira also earned a global reputation as a fiery desert soul woman, fronting a crack young band with the force and chops to match her trenchant, earthy vocals. 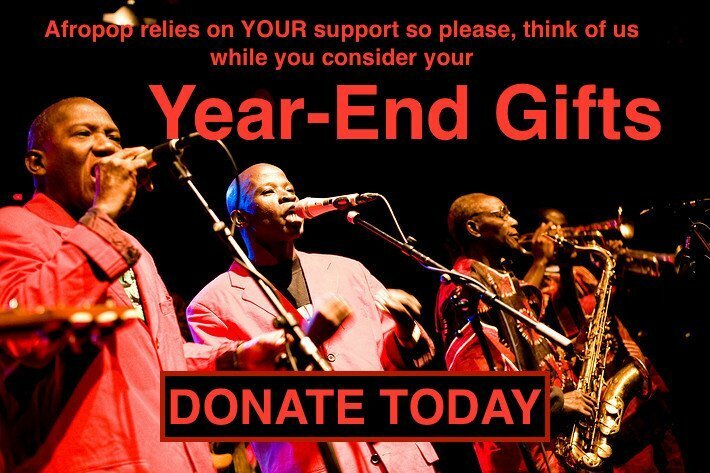 With so many consequential deaths of late, this one hits close to home for Afropop Worldwide. We have been playing her bracing songs on our airwaves since we first came upon a cassette of hers in the early ‘90s. Once we actually met her in 2000, she became a dear friend. Khaira was tough. Tough enough to defy the norms of her conservative societal milieu in northern Mali and divorce her husband in order to pursue a career in music. 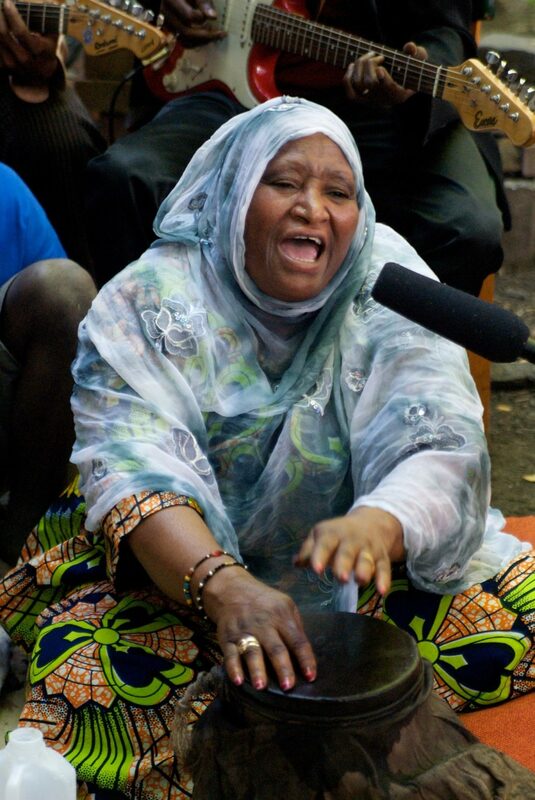 Tough enough to become the doyenne of Timbuktu musicians, and to play a key role in curating and hosting the quasi-miraculous Festivals in the Desert that happened in Essakane and Timbuktu between 2000 and 2012. Tough enough to endure the violent takeover of the north by Islamic extremists in 2012, and to speak loudly and clearly against those extremists from her subsequent exile in Bamako. (This era is powerfully documented in the film They Will Have to Kill Us First). 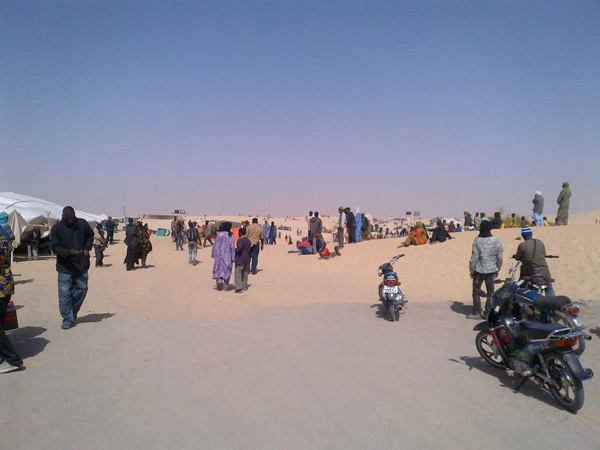 Tough enough to be among the first artists to return and perform in Timbuktu following international intervention in 2013. For all that toughness, Khaira was also a sweetheart, with a smile as radiant as the desert sun. She treated her band as her family, and never forgot her friends. Toughness and warmth came as a package with Khaira, as demonstrated at a Bamako wedding where we watched her firmly elbowing overly aggressive patrons aside, all the while singing glorious praises to her intended subject. Sadly, Khaira never got to return to her beloved hometown to live and resume her musical life there. That was very much her ambition when we last visited her in 2016, and also when we last spoke with her, just a month before her untimely passing. There is so much more to say about Khaira. For now, two video memories: a segment on her from Afropop’s 2004 film Festival in the Desert: The Tent Sessions, and then a Web video we produced with Khaira during her first visit to New York in 2010. Special thanks to Khaira’s most dedicated American champion, Christopher Nolan, who arranged and managed her memorable American tours and late recordings, Timbuktu Tarab (2013) and Gossip (2015).